The far west coast of Brittany was defended by K.V.G. Renan. The area starts at St Pabu and ends with Pointe Grand Minou just west of Brest. Three heavily armoured strongpoints (Panzerwerke) are worth your visit, in spite of the fact that much steel has vanished. 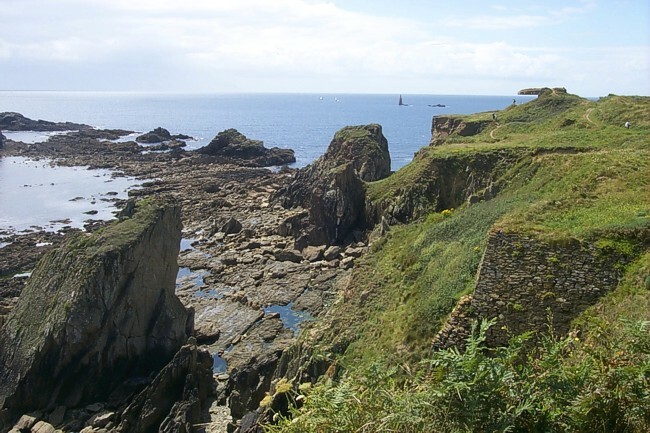 At the entrance of Rade de Brest beautiful coastal batteries remain. Big ocean, rough coasts, lighthouses and a German bunker for searchlight clearly in the picture.